JustFab is an online retailer of specialty shoes, handbags, clothing and accessories. Founded in February 2010 in El Segundo, Calif., by co-CEOs Don Ressler and Adam Goldenberg, the company offers value-conscious consumers on-trend fashions for a fraction of estimated retail cost. JustFab currently offers shoes, handbags, denim, jewelry and other accessories. JustFab items are available for $39.95 or less. To join the membership program, members long into JustFab.com, to complete a personal style profile. This data is used to generate a personalized selection of shoes and bags for each member. Every month, members receive a new virtual and customized boutique as well as access to the various other styles available on the website. . In 2011, JustFab added fashion icon Kimora Lee Simmons to its team where she serves as the company president and creative director. In addition to Simmons, JustFab employs the nation’s top style influencers, including celebrity stylist Jessica Paster and stylist and TV personality, George Kotsiopoulos. 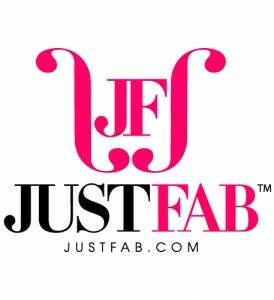 In 2013, JustFab acquired FabKids. FabKids is also a fashion subscription site, but caters to the style demands of children and their fashion conscious parents. JustFab offers a special VIP membership for women who are looking to keep up with the latest fashions without spending designer dollars. Key features for members are low prices—most items are $39.95—free shipping and a customized shopping experience. Most shoes, bags, denim and jewelry are available for $39.95 with free shipping, but JustFab does offer lower-priced items with minimal shipping charges. Members are not obligated to make a purchase each month to remain active nor do they have to pay a monthly membership fee. If a member does not want to by an item or pay for a $39.95 credit, they can use the “skip the month” feature by the 5th of each month and will not incur any charge. VIP customers may shop the entire website but are first directed to a selection of JustFab merchandise hand-picked by company stylists based on the member’s personal shopping profile. JustFab opened its virtual doors in March 2010. The company was founded by Co-CEOs Adam Goldenberg and Don Ressler. In September 2011, JustFab caught the attention of former fashion model and mogul Kimora Lee Simmons. Eighteen months after its inception, JustFab secured funding in excess of $33 million lead by Matrix Partners. Kimora: House of Fab is a docu-series on the Style Network that features Kimora Lee Simmons’ and other JustFab employees as they build the growing business. In March2012, JustFab partnered with Canadian musician, fashion designer and philanthropist Avril Lavigne to launch her new collection of shoes and bags for her line, Abbey Dawn. JustFab additionally features an exclusive line of products from sisters Elle & Blair Fowler, the YouTube sensations who have millions of views on their video channels. 2012 also brought international expansion for JustFab. The company has launched in the U.K., Germany and Canada with plans to continue international expansion throughout 2013. JustFab acquired FabKids in January of 2013, which prior to the acquisition had no affiliation despite the similar names. FabKids was founded by CEO Andy Moss who brought on actress Christina Applegate as creative partner. JustFab.com and FabKids.com are both structured to serve fashion-forward female clientele, with FabKids offering children’s clothes for the budding fashionista. JustFab received additional funding in 2012 from Matrix Partners JustFab’s parent company Intelligent Beauty, Technology Crossover Ventures, and Rho Ventures totaling $76 million. While JustFab’s price point is wallet-friendly for just about anyone, JustFab has acquired a fan base of celebrities and social icons. Actress Angie Harmon (Baywatch, Law & Order) was spotted at a red carpet event in Los Angeles wearing JustFab high heels, the Cassidy. Emily Blunt (Looper, The Devil Wears Prada) is also known to own JustFab shoes and accessories. Ellie Kemper (The Office) attended the JustFab.com summer collection event wearing shoes and carrying a handbag designed by her stylist, Jessica Paster, as part of the brand’s summer campaign. Additional celebrities caught on camera in JustFab styles include singer/songwriter Jewel, actress Hilary Duff, and actress Lindsay Lohan.